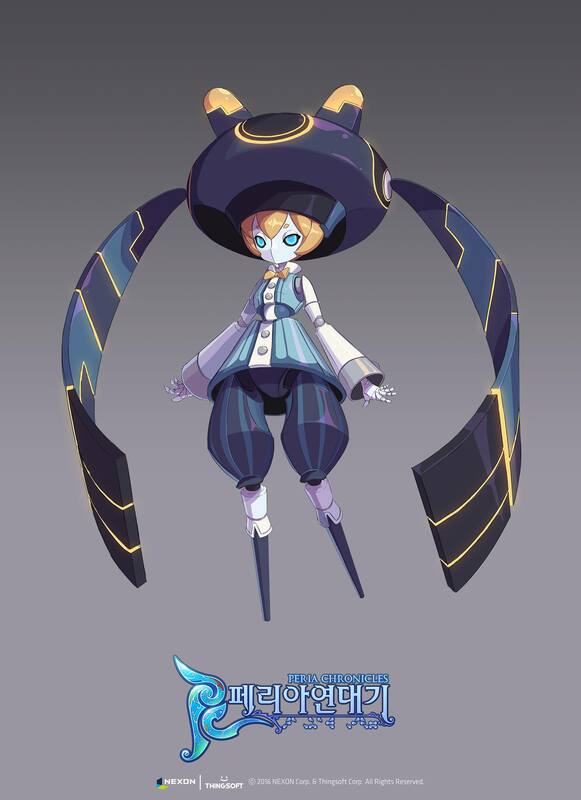 Thingsoft has slowly been revealing some of the Peria Chronicles characters that you can recruit and command in battle and the newest one is Persier. More known as Kirana, these creatures have their own lore and their abilities are described. Persier, for example, seems to be a defensive class judging by his battle guide. You can see the artwork of Persier below along with his story and abilities. As usual, it's not easy to understand some of the text, so consider yourself warned. Peril was amazed to see the moon of Arca appear in her world Peria. Just then, Akasha in Arca realized that his world was shaking. Since Arca and Peria started to strike close together, Akasha's sense of supporting the disarray of Arca has been disturbed. Akasha, who always had a smile on his face, felt Arca, who had begun to escape his control, and his smile disappeared. DIONA hurriedly rushed. But she could not ask more about Akasha, whose face was not so good. Akasha instantly created an entirely new Kirana that could hear the will of Akasha and change the world. For ten days, Akasha corrected this world that had begun to shift without saying anything. He lifted the heavily sinking, and took what was right in the wrong position. On the tenth night, Akasha spoke bitterly to himself. The air sat down more and more heavily. Diona, who was guarding the side, looked at Akasha without saying anything. Acquiring the name, he responded to Akasha. Other Kirana have been able to see the role of the Persia in silence after that day. Everyone felt faint about why Persia appeared, but nobody said why. Persier has the power to move the summoner's desired objects. His power is essential in making the peria world, no matter how big, no matter how small, persier can be precisely controlled. Even the fastest and most accurate delivery of goods to the famous peria best companies, “Palma” has also placed persier in almost every point in the Express. Persier in construction of dungeons, villages, fields, etc. is surely helpful. Think deeply when using persier. This charming Kirana has no offensive power, but can be a stronger sword and shield than anyone else.